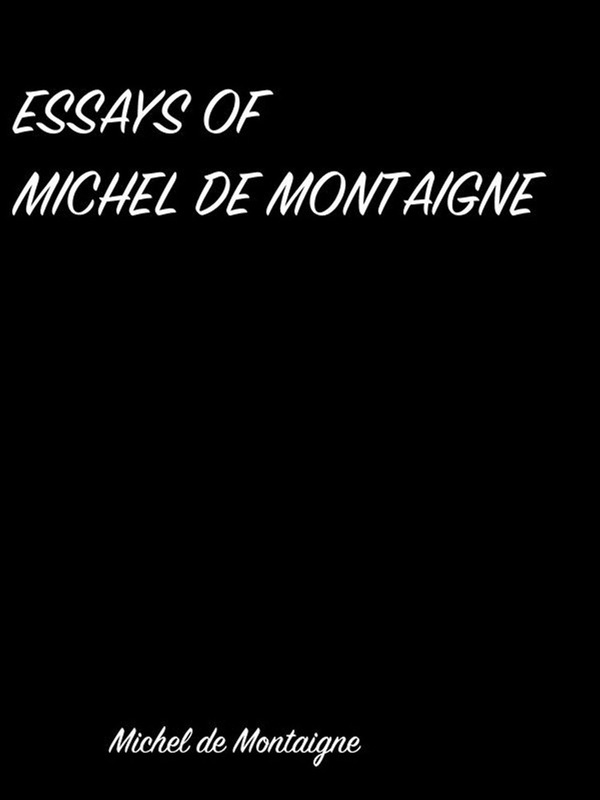 Essays of Michel De Montaigne Michel De Montaigne Translated by Charles Cotton Edited by William Carew Hazlitt 1877 The Essays of Michel de Montaigne are contained in three books and 107 chapters of variable length. Montaigne's stated design in writing, publishing and revising the Essays over the period from approximately 1570 to 1592 was to record for the 'private benefit of friends and kinsmen ... some traits of my character and of my humours.' The Essays were first published in 1580 and cover a wide range of topics. As Essai is French for "trial" or "attempt", so Montaigne attempted to explore his thoughts, his life and learning in written form. His essays are widely regarded as the predecessor of the modern essay: a focused treatment of issues, events and concerns past, present and future. 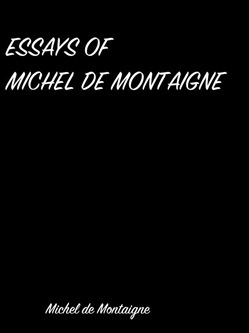 Acquista Essays Of Michel De Montaigne in Epub: dopo aver letto l’ebook Essays Of Michel De Montaigne di Michel Eyquem de Montaigne ti invitiamo a lasciarci una Recensione qui sotto: sarà utile agli utenti che non abbiano ancora letto questo libro e che vogliano avere delle opinioni altrui. L’opinione su di un libro è molto soggettiva e per questo leggere eventuali recensioni negative non ci dovrà frenare dall’acquisto, anzi dovrà spingerci ad acquistare il libro in fretta per poter dire la nostra ed eventualmente smentire quanto commentato da altri, contribuendo ad arricchire più possibile i commenti e dare sempre più spunti di confronto al pubblico online.